After three months of running complaints, Pattaya finally said it will deploy a security guard to patrol a blocked-off portion of Pattaya Beach that became a haven for homeless people and a base for petty thieves. 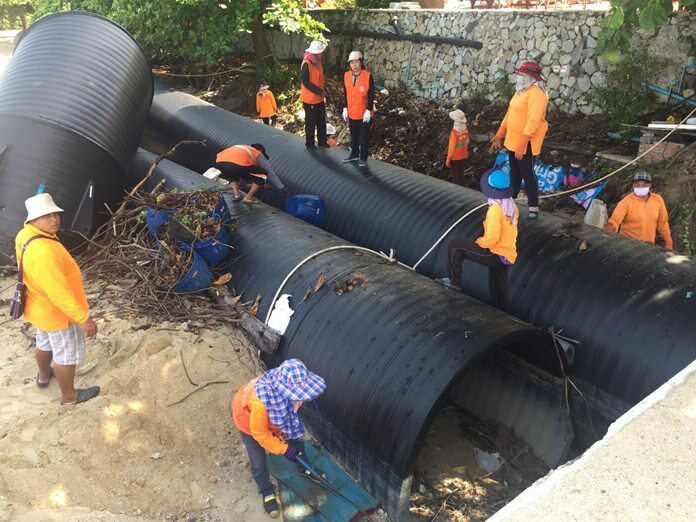 Komklit Polwichit, head of the Special Affairs Office, led a team of Environment Department workers to Pattaya Beach near the Dusit Thani curve to clean up what had become an open toilet. Beach chair and umbrella vendors had complained early this month that since a sheet-metal fence was erected on the sand in May, homeless people, both Thai and foreign, have started living there and thieves who steal swimmers’ belongings use it as refuge. They say the situation has deteriorated, with squatters defecating on the beach and giving the entire area an unpleasant aroma. City workers spread out along the beach, cleaning up human waste and sewage that spilled out of nearby drainage pipes, and excavators dug up buried trash to control the smell. Komklit said the area had been a camp for workers involved with the stalled beach refill project, but the workers left in December and the homeless moved in. Security guards will now oversee the area, although the fence will remain. 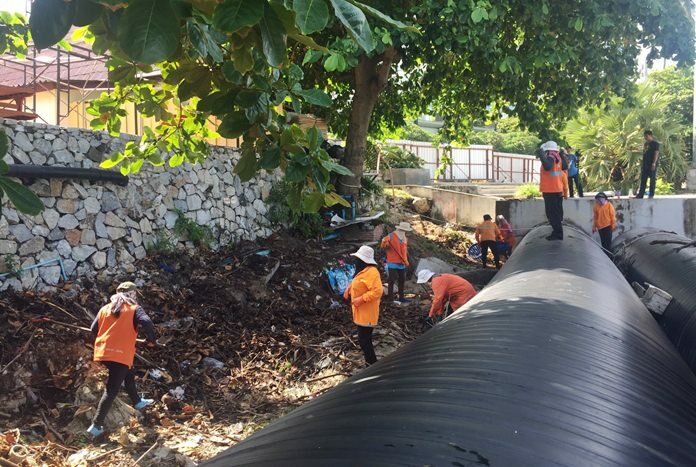 Environment Department workers clean up what had become an open toilet on North Pattaya Beach.